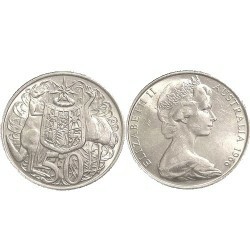 Australian Decimal Coins issued between 1966 and 2009. 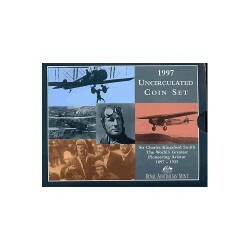 1966 - 2009 Decimal Coins There are 310 products. 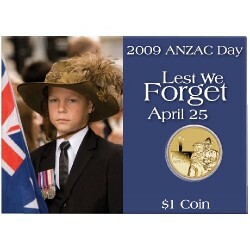 2009 $1 Anzac Day Al/Br Coin The Perth Mint has release the first of it's annual ANZAC Day $1 Coins. Inspired by the significance of the 25th April 1915, the day Australian forces landed in the hostile shore of Gallipoli, the ANZAC Day $1 coin honours all Australian Defence Force personnel who have served their country in war. 1966 50c Silver Round 50c EF+ Issued during the Decimal Changeover, it was considered controversial due to its shape and confused for the 20c. 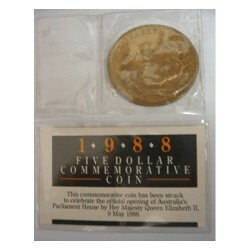 1988 $5 New Parliament House Aluminium Bronze. Commonwealth Bank promotional issue. 2009 $1 Sydney 2009 World Masters Games Al/Br Unc Coin The World Masters Games is one of the greatest international sports events with sportsmen and women over the age of 25 competing in a fun and firendly environment. Up to 25,000 competitiors from around the world are participating at Sydney this year. 2009 $1 Australian Citizenship Uncirculated Coin in Card. The Perth Mint is proud to announce the release of its annual 2009 Australian Citizenship $1 Coin. 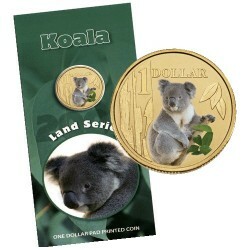 2008 $1 Land Series - Koala Uncirculated Coin in Card Following on from the very successfull Ocean Series, the Royal Australian Mint has just released the first two coins in the new Land Series. 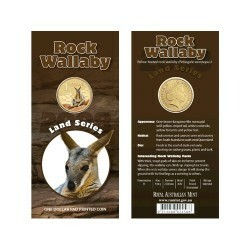 2008 $1 Rock Wallaby - Land Series Second Release Following on from the very successfull Ocean Series, the Royal Australian Mint has just released the second two coins in the new Land Series. 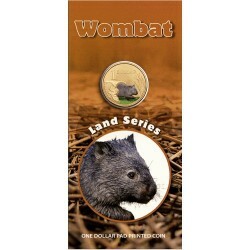 2008 $1 Wombat - Land Series Uncirculated Coin in Card The Third Release Following on from the very successfull Ocean Series, the Royal Australian Mint has just released the third two coins in the new Land Series. 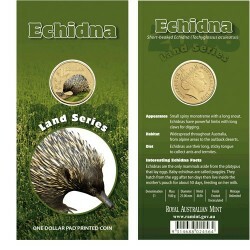 2008 $1 Echidna - Land Series Uncirculated Coin in Card The Third Release Following on from the very successfull Ocean Series, the Royal Australian Mint has just released the third two coins in the new Land Series. 2009 Mint Set 6 Coin - International Year of Astronomy. 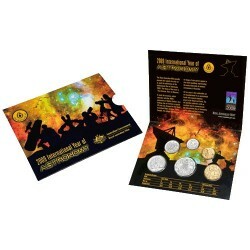 In 2009 we celebrate the International Year of Astronomy and The Royal Australian Mint has released its 2 and 6 coin Proof and Uncirculated Sets. 2008 $1 Australia's Coat of Arms C Mintmark Coin in Card This is the latest release in the Royal Australian Mints very popular $1 mintmark series.